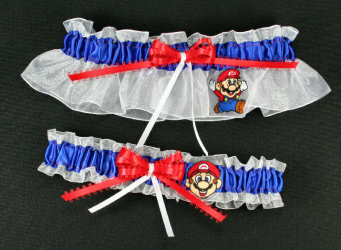 Mario featured Nintendo wedding garter set includes keepsake bridal and toss garters. White organza with royal blue satin band accented with red and white bow. Custom color requests are welcomed.